Posted on December 3, 2018 by PADI Asia Pacific. How Can We Protect More of Our Oceans? For more than two decades, scientists have been telling us that Marine Protected Areas (MPAs) are one of the keys to long term ocean health. While some debated their worth early on, today there’s little dispute. As reported by Smithsonian Magazine, MPAs with full protection have four times as much life (biomass). Species grow larger and reproduce proportionately more. MPAs and the areas around them recover more quickly from environmental damage, and (along with fishery management) have higher fish catches — so much so that commercial fishing comes out ahead despite the loss of fishable area. While established as big wins for everyone, global governments are not on track to meet a U.N. goal to have 10% of the world’s ocean under full protection by 2020. Officially, we’re at just under 6%, but some say it’s really under 4% because some declared MPAs have no enforcement and nothing’s changed. But thanks to Hope Spots, we can help catch up and get ahead of the curve. Hope Spots, if you’re not familiar, were conceived by Dr. Sylvia Earle, with coordination and oversight by Mission Blue, a not-for-profit organization Dr. Earle founded to unite people and organizations for this cause. Hope Spots are unique marine areas identified as particularly distinct due to the diversity of species found there, the habitat’s importance for reproduction, threats from human activity, community economic needs or any other attribute that makes a location central to marine environmental health. The idea is to conserve and preserve Hope Spots by leveraging public perception and attention so they receive appropriate protection (not necessarily becoming MPAs, and some Hope Spots are already MPAs). As you’d expect, the PADI organization formally partnered with Mission Blue in 2017, adding the weight of 26 million+ PADI Diver voices to the Hope Spot cause. Thanks to Dr. Earle, Hope Spots are a conspicuous example of how one person with a great idea can inspire millions to unite across borders and cultures for a common purpose. By creating areas with proven biological productivity, they help us buy time addressing some of these challenges. For example, Hope Spots won’t solve overfishing, but by providing areas in which fish reproduction functions unchecked, we prop up fish populations as we sort through the management issues. Hope Spots help preserve biodiversity. Some scientists see this as helping the ocean bounce back with as many species as possible as we make positive changes. Others, accepting that some change is permanent, see biodiversity as central to marine ecology. That is, some coral species tolerate heat better than others; having a diverse genetic supply of such species may be important in a warmer ocean. Hope Spots are inspirational and visible. Hope Spots draw attention. They remind communities just how close and personal ocean threats are, but that we can (and must) act to offset them. As a source of local pride, Hot Spots inspire area divers and ocean advocates to speak up for and fight for them. Mission Blue, PADI and other supporters use social media to highlight Hope Spot stories to make and keep them in the broad public eye. As a diver, you can support the PADI organization, Mission Blue and others united behind Hope Spots. You can nominate a Hope Spot, and you can participate in events promoting/protecting a Hope Spot (many led by PADI dive shops or instructors, and may tie in Project AWARE as well). Of course, you can contribute to Hope Spot funding – check out mission-blue.org. If you live near or visit a Hope Spot, talk about it in person and on social media – especially with those who may not be aware of it. 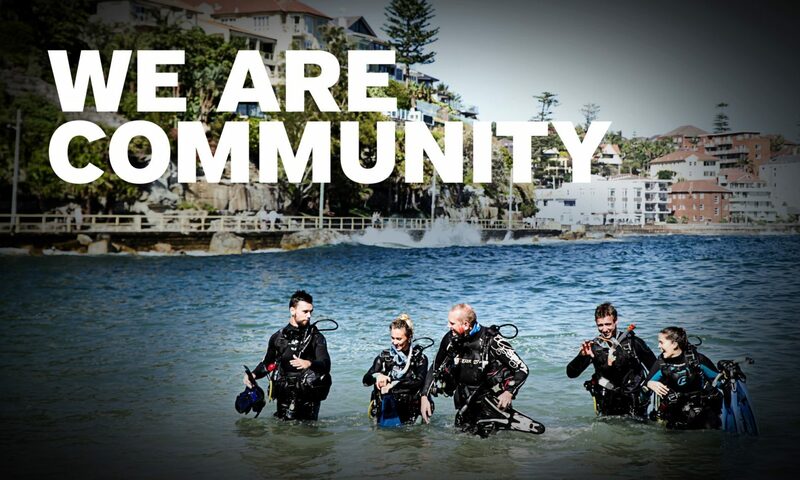 Finally, get involved with Project AWARE and your local PADI dive operation to make every dive count. Millions of people like you and me passionately preserving, conserving and restoring the ocean is the best hope there is.